The RadMap control provides you with a set of shape objects, which are specifically designed to work with the RadMap. You will be able to find equivalents to most of the Shapes introduced in WPF. To learn the different ways of specifying the appearance colors of a shape read the Shape Appearance topic. The MapShape objects allow you to attach additional data to them. This is done via their ExtendedData property. To learn more about it read this topic. 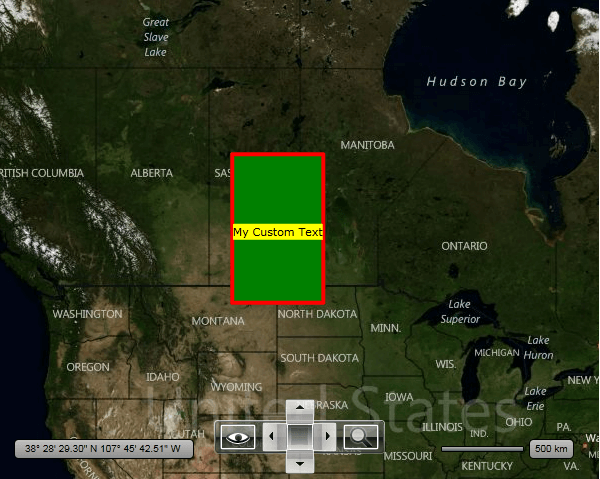 The MapShape class gives you the ability to specify caption for your Shapes using the CaptionLocation and CaptionTemplate properties. For example see MapPolygon below. The most important things when using the MapLine object are the Point1 and Point2 properties, which are of type Location. They define the start and the end points of the line. Here is an example. Location - represents the location on the map, to which the rectangle is bound. Width - represents the width of the rectangle in the current distance unite (mile or kilometer), e.g. 1 is equal to 1km. Height - represents the height of the rectangle in the current distance unite (mile or kilometer), e.g. 1 is equal to 1km. In order to change the distance unit, you have to set the DistanceUnit property of the RadMap to the desired value - Mile or Kilometer. RadiusX, RadiusY - represent the radius of the rectangle corners. Just like the Width and Height properties, these are also measured in the current distance unit. Note that the top left coner coincides with the given location. In order to position the rectangle otherwise you might want to use the HotSpot feature. Width - represents the width of the ellipse in the current distance unite (mile or kilometer), e.g. 1 is equal to 1km. Height - represents the height of the ellipse in the current distance unite (mile or kilometer), e.g. 1 is equal to 1km. 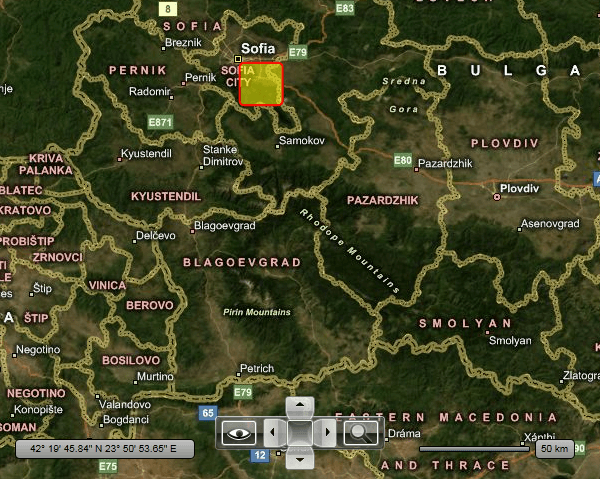 <telerik:MapPolyline Points="42.6957539183824, 23.3327663758679 42.1429369264591, 24.7498095849434 42.5131732087098, 27.4611884843576 43.2073941930888, 27.9275176988258"
<telerik:MapPolygon Points="56,-100 56,-108 48,-108 48,-100"
Except the MapPath class you also have an analog for each standard Geometry or Segment class. Here is an example of an MapPath that uses MapArcSegments.